Motorcycle training at all levels tailored to the individual rider. I just wanted to drop you a line to thank you, Martin and Johan for all the training I have been given which allowed me to pass Module 2 of my DAS course today. When I first decided to take training to obtain a motorcycle license I looked at several local options, I can honestly say I am glad I picked Phoenix Motorcycle Training, the tuition I have received has been first class and I found everyone to be professional, amiable, supportive and enthusiastic, (everything I needed). I would have no hesitation in recommending you to anyone else who may be thinking of taking training. 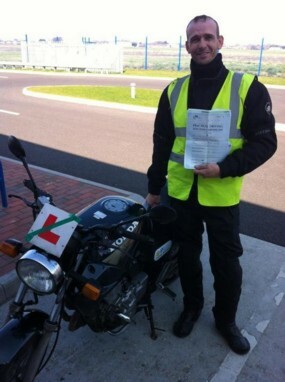 Thanks again for all your help in getting me through the process of passing my motorcycle test's. I have learnt so much about the handling and control of the bikes which has made me much more confident on the road. I would recommend your training to anyone who want's to learn to ride a motorcycle! . 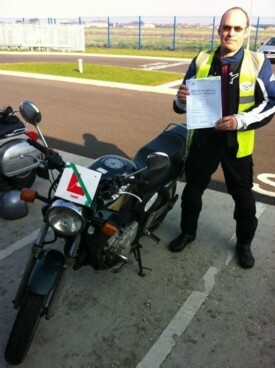 Brian, thanks very much for your professional instruction that I received whilst training for my full bike licence through the Direct Access Scheme. 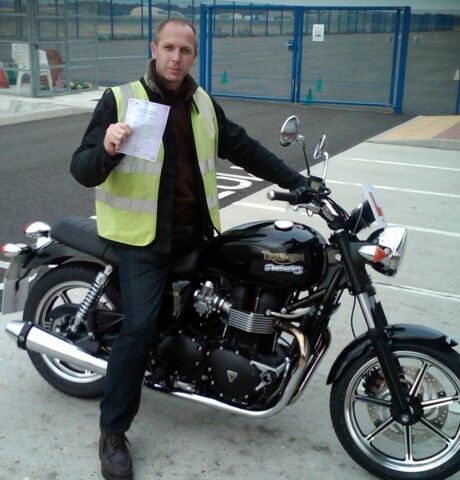 Getting my full bike licence has been a long time coming and was made easier by your easy to follow instructions. The cb500 that I rode was a very good confidence builder under your tuition. I am now out riding and enjoying my bandit 1200 thanks to you. Once again thanks to pheonix training and brian for helping me to get on 2 wheels. I just wanted to extend my most sincere thanks for the DAS training experience you provided for me and the opportunity to learn on that brand new Triumph Bonneville. I can now take to the roads in the knowledge that your instruction will provide for a safer riding experience and my mid-life crisis vehicle will remain 'Mid-Life' to me. I hope to drop in on you soon, fair weather permitting and show off my 1962 Scoot. I wish to thank you for your professionalism when it came to the 4 day motorcycling lessons and exams. Phoenix provided excellent instructors and I owe my success to them. Overall the whole experience was top notch. 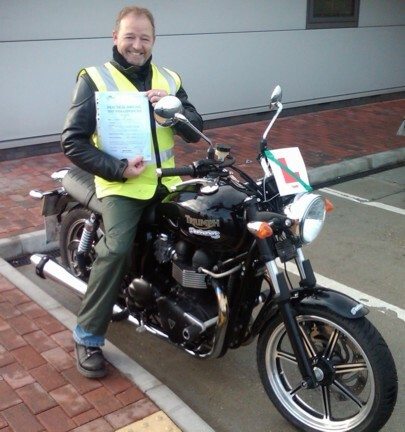 I wish to take this opportunity to recommend this service to everyone who is looking to take a motorcycling course. And the experience to ride new Triumph Bonneville was the icing on the cake. Thank you once again. All the best. the new triumph bonneville made it a great fun but also quite quick direct asses course. I would recommend phoenix and Brian to anyone who wants a friendly but very professional instructor and overall great learning experience.